Uncover your child’s hidden talents and enjoy a more relaxed, enriching homeschool. Sometimes the very behaviors we find frustrating in our children are actually the seeds of immature and unrealized strengths. What if you could see those mis-behaviors through God’s eyes and learn how He wants to use those strengths to help your child fulfill their potential? Thomas Edison failed at school and was labeled as “addled in the head.” He was hyperactive and easily distractible. Today researchers believe he also may have been dyslexic. His mother decided to school him at home and Thomas was allowed the freedom to explore his interests. He played with chemistry sets, pursued his own business at 14, and invented a crude printer with which to print his own newspaper. Allowed to gain an education outside the box of traditional school and free from any limiting label, Thomas Edison went on to be one of the world’s greatest inventors. John Lennon failed at school. He never did learn to spell very well and according to his school records his typical behavior was: “fighting in class”, “nuisance”, “shoving” “generally cheeky” and “just no interest whatsoever”. He was a troublemaker by all accounts and rebelled against anything and everything. John was fortunate that a series of event lead him to music and the rest, as the saying goes, is history. Many equally disruptive and challenging kids aren’t so lucky. If you are dealing with behavior problems, learning disorders or plain outright rebellion it may feel hopeless but God has a better plan! Not all kids are meant to fit into the traditional math, language, reading skills required in typical schools. Some kids have amazing gifts and talents that shine only outside “normal” education. It’s our job as parents to discern gifts and potential while curbing rebellious and sinful attitudes. Who Is More Like Your Child, Thomas Edison, or John Lennon? 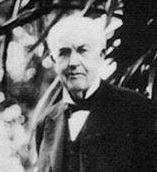 Thomas Edison’s distractibility and unceasing energy were the signs of a highly intelligent, curious mind. Given the freedom to self-educate, he became a voracious reader in a wide variety of subjects and a life-long entrepreneur. The rebellion and lack of interest John Lennon displayed in school came from a strong leadership ability. He wanted to run his own life. Eventually he did chart his own course and became one of the greatest influences in the music industry.